I am a walker in more than one sense… Walking is my favorite form of exercise (after tennis, which at my age gives me more aches and pains than I want). But also in a metaphoric way, I am a walker. A wanderer if you wish, a person who cares more for the journey than for the destination. An explorer, who enjoys contemplating life, and while I walk, I renew my sense of awe, daily. I try not to let routine devour me. I hurry like most people, and sometimes, I worry, but then I take the time to rest and read my body. Is it tense, is it tired, does it need to eat? I don’t want to be trapped by the noise and the haste of modern life. And I’m sure you feel the same. My prescription is Reiki and of course, a healthy lifestyle. Reiki is for me an incredible resource. When I’m too tired, I give myself Reiki. When I ache, when something is saddening me, when I just want to experience deep peace, I lay down in my recliner or my bed and use my hands to give me a treatment. I learned Reiki about 26 years ago and it transformed my life. I took my first class out of curiosity and because I had experienced an energy healing in 1993 that had shaken my beliefs (my “certainties”). As a medical doctor I had grown skeptical of everything that was not “evidence based” and still, what more evidence did I want than the feeling that my body was in better shape than ever after a Taoist master gave me an energy-healing session. I quit smoking, I changed my diet, I started to exercise all of a sudden after that hands-on treatment. In the following weeks, my energy was boosted, my health was better than ever. Reiki was just the next step in wanting to understand a new dimension that had opened to me through that healing. Reiki has given me more than any supplement or vitamin. It keeps me healthy and joyful and connected with everything that exists. It’s through Reiki that I have become more compassionate and peaceful. Reiki is painless, has no side effects, and takes only a few minutes for you to experience its beneficial effects. Because Reiki has been such a blessing for me, I offer Reiki sessions and Reiki classes besides counseling – Reiki is ideal for self-care. I love to walk in the evening and take pictures of the sunset. Oh, the peace you can experience out there! What was the most compassionate thing you experienced today? But before I go on, I should tell you that the most rewarding aspect of my Reiki classes is the interaction, the closeness that happens between all of us. We usually start the class with an activity that would help create a safe space: one in which there is confidentiality, acceptance, respect and people take care of their own needs. By the end of a 12 hour class (Reiki I is intensive, I know) people have opened their hearts and have experienced what it is to be supported and connected. I’m not new to the hesitation most people experience about teaching others. We tend to doubt ourselves. Would others listen to us? Do we have the authority to teach others when we still feel “incomplete,” “flawed,” “in the process of becoming”? And I think the answer is Yes, yes and yes. We complete ourselves in the interaction with others. We build ideas as we speak and the inner knowledge comes out. We let our vulnerability be seen and trust the others, and we see our vulnerabilities as the place from which we can empathize with them. We become (whatever we want to become) thanks to the collective wisdom that inspires us, motivates us to move forward, opens our eyes to new experiences. So, then the group wanted to discuss some more about the Reiki principles. One of the five principles is “Working hard on self” and it brought quite a few questions. No, we don’t want to be hard on ourselves, that’s not the idea. There is the perfectionist kind of hard, I said. A person who will never feel enough and will judge others by the same measure. And then, there is the honest person kind of hard. I provided a personal example: I hate mediocrity and still I’ve come to recognize that sometimes I don’t try my best, because what I do seems good enough to many. So, I need to be true to myself. I think it’s easy to fall into what Edward de Bono called the “intelligence trap:” if we’re somewhat smart, we might be tempted to using our thinking to defend our positions (and we might have the ability to do it nicely), rather than further exploring ideas and subjects until we really have a deep knowledge of what we’re talking about. Once I recognize that I’m doing this, I have the obligation to “work hard” on getting out of the above mentioned trap, and conscientiously study and keep myself up to date on the topics I’ll be teaching, writing and discussing. So, the goal of “working hard” is not to be perfect, but to be honest: to be fully aware of our potential, our weaknesses, our flaws until we get to really know who we truly are. And we’re certainly not what we do nor what we achieve nor what we have. Thanks for reposting this Phil. Have you ever felt guilty after swallowing yet another pill to mask symptoms of a disease or injury? Have you wondered if there was a better approach to physical (and spiritual) well-being than going on an antibiotic regimen or ingesting medicines designed to reduce inflammation? 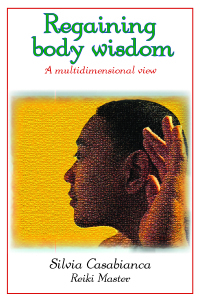 Silvia Casabianca causes us to ponder such questions in her new book, “Regaining Body Wisdom: A Multidimensional View,” published by Eyes Wide Open. Casabianca’s mantra is that most of our remedies for discomfort and disease are at odds with the body’s natural responses to various types of invasion or imbalance. In her view, much of what is labeled conventional medicine overlooks and often hampers the necessary and natural communication between organs and the flow of vital energy that maintains health. We spend most of our lives disconnected. As the founding executive and director of the Center for Mindfulness in Medicine, Health Care, and Society at the University of Massachu setts medical school, Jon Kabat Zinn PhD would probably say: We are disconnected from our sensations, disconnected from our perceptions, disconnected from our impulses, disconnected from our emotions, disconnected from our thoughts, disconnected from what we say and also disconnected from our bodies. And this seems to be due to the fact that we are constantly mired in worries, lost in the mind, absorbed in our thoughts, obsessed with the past or the future, immersed in our plans and driven by our desires, confused by our need to have fun and at the expense of our expectations, fears and desires, however unconscious and automatic they may seem. The world is becoming increasingly polarized, our awareness of separation grows and the spending habits we have adopted disregard the responsibility we have with caring for the planet. Our fall from paradise –as a metaphor– seems to refer precisely to the beginning of this disconnection from nature that happened when humans transition from hunter-gatherer societies to become shepherds (Abel) and farmers (Cain). With the progress of agriculture, private property, States, armies and a new type of relations between men and women soon appear. In a world progressively displaced towards urban life, we not only have we lost the acuity of our senses, but our instinct and intuition. Let’s take the example of a hunter: he has to learn to listen to the animal that stealthily approaches, identify the marks it has left on the ground, refine his ear to identify where a sound comes from. He needs to be able to see, feel the signs that his prey leaves on the road. In his job as a hunter, the individual needs a type of sight that would allow him to identify a target at a great distance and pursue it with his eyes. This refinement of his intuition, of his senses, of his abilities, makes him a more efficient hunter. We have lost instinct and intuition. The sharpness of our senses has deteriorated. We rely on external gadgets or additaments to make up for the loss of our senses. Our disconnection from nature in modern life is such that we are unable to anticipate the impact that material “progress” has on our lifestyle, health, others and the planet from which we derive our sustenance. When we eat a hamburger we can’t see the relation between its fat content and the damage that a diet rich in lipids can produce on our immune system, and eventually the arteries, which years later could increase the risk of suffering a heart attack or an embolism. We only perceive the immediate gratification. The news tells us about global warming, melting glaciers, increasing temperatures of the oceans. In the summer of 2017, the largest iceberg in the world split up from Antarctica and in 2018 the northeastern United States was hit by heavy storms of ice, rain and snow that apparently originated in the Arctic warming (this year began to melt early, in February). We know that sea levels are rising and the coastal cities in the Gulf of Mexico and the islands north of the Caribbean have been affected by more intense hurricanes and tornadoes than ever. We witness more earthquakes, devastating fires (related to droughts), endangered species, toxic algae blooms, all phenomena of unprecedented intensity. The key question is whether these occurrences are a consequence of human activity or not. One of many examples we could offer about the disconnection between our lifestyle and the impact we cause on the planet, is how comfortable we get to feel with the practice of buying products packed in plastic because (we shrug the shoulders) we can throw the container in recycling bins. But do we question where this waste is going? Much of the plastic that we throw away has to be transported (with a high fuel use) to the recycling centers. But also, the recycling process itself consumes energy or in many cases the plastic ends up being transported throughout the worldin huge tankers that leave a trail of lethal oil in the water, to be later deposited in batches on Third World countries fields. And, what will happen to objects made of recyclable material when they their use value ends? Another example of our disconnection: the Pacific Ocean draws approximately ten metric tons of plastic fragments to the beaches of the Los Angeles, California area. Birds, turtles, seals and other marine animals confuse plastic debris with food (their smell and appearance deceive them) and the animals can die from malnutrition, chemical poisons in the plastic or intestinal obstruction. In some cases, they get stuck or entangled in objects such as fishing nets. Can you guess where all that plastic comes from? The lack of regulation of certain industrial processes (production, waste disposal) is also responsible for both pollution and the consequences of the presence of plastic in the environment. The United Nations has issued a resolution that seeks to eliminate plastic in the oceans in 200 countries, but they estimate that the task will take at least thirty years when it may already be too late (at present, about 115 marine species are affected by plastic debris). Presently, countries like Spain do not know what to do to dispose of the millions of plastic bottles that are thrown away every day. From the moment I write to the moment you’ll read this, it’s very likely the statistics will be worse. However, markets are still filled with plastic containers that we sometimes have no option but to buy and take home (shampoos, alcohol, medicines, all come in plastic bottles). There is consensus in the scientific community (expressed by the Intergovernmental Panel on Climate Change or IPCC for its acronym in English) that human activity is modifying the atmosphere and affecting the planet. But legislators, the president of the United States, and many media still doubt these conclusions and are even reversing the advances made in the protection of the environment. The interests of large corporations, which are not willing to bear the costs of re-engineering, necessary to prevent future emissions of greenhouse gases, are behind this problem. The careless appropriation and abuse of resources and mindless consumerism ignores the impact we’re having on the planet. Add the use we make of fossil fuels or the waste that we generate. In the main cities of countries like the United States, up to forty percent of the food that is produced is dumped and as long as the water continues to flow in the tap we will not realize the consequences of the insensible waste of water and wood, resulting from the expanding urban population. The media also constantly inform us about acts of terrorism, wars, people displaced by violence, refugees, famines, natural calamities, human and drug trafficking, mass dismissals, corporations that sink overnight and others that are they amalgamate to form huge and all-powerful corporations. Symptoms and consequences of our disconnection as humanity. Urban population in 2014 constituted the 54 percent of the global population while in 1960 it was a 34 percent, and it continues to grow. In just a month (August-September 2017) three hurricanes, Harvey in Texas, Irma in Florida and María in Puerto Rico cause immense damages (calculated in 500 billions of dollars). Damages cause by Maria are considered the worst disaster ever registered in Dominica. At the same time, the very dry summer came with fires that affected 10.000 buildings and houses and 47,000 acres in 2017. New fires are ongoing. China recently banned the imports of foreign waste (they were recycling but the waste received was not properly sorted out). The U.S., Europe and Japan are having trouble finding an alternative. The European Union is considering a tax on plastics and some countries have started to ban the use of plastic bags, cups, plates, straws and plastic bottles. To give you an idea of the dimension of the problem: They have estimated that around 4.73 billion plastic cups are thrown away every year only in France. I hesitate in using the term Third World, which was coined in the fifties and might mean something completely different now. However, I’ll use it to designate the group of countries that are less developed technologically and where the living conditions, health indicators and income of most of the population is the least favorable. Aparte del nuevo libro, aún sin publicar, de Silvia Casabianca, Sin Amor no hay Civilización. Del Miedo a la Solidaridad. A pesar de las palabras de odio terribles que se leen en los comentarios de los artículos de prensa y twitters, a pesar de lo candentes y hasta destructivos que se vuelven los debates políticos, a pesar de las múltiples guerras contemporáneas y de que muchos medios se inclinan a dar preferencia a historias de abusos, corrupción y disputas, a pesar de todo, veo a diario seres humanos embarcados como yo en una misma búsqueda… y la búsqueda es la del amor. Nos mueve una necesidad de conectarnos, de sabernos parte del todo. Si no somos conscientes de ello, al menos intuimos en lo más profundo de nuestro ser que somos seres sociales, que necesitamos vínculos; queremos ser amados, sentirnos necesitados y útiles, sabernos protegidos, apoyados, parte de una tribu. En 1943, el psicólogo Abraham Maslow planteó una teoría de la motivación humana con una jerarquía de necesidades que debiera satisfacerse en una cierta secuencia, empezando por las básicas que nos garantizan la supervivencia, para poder seguir avanzando hacia la autorrealización. Propuso que cuando el déficit en una de esas jerarquías ha sido más o menos satisfecho, nuestras actividades se dirigen hacia la satisfacción del siguiente grupo de necesidades. En últimas, según Maslow, colmamos nuestras necesidades no tanto porque nos haga falta algo sino porque, siguiendo un impulso innato, queremos crecer. Una vez nuestras necesidades fisiológicas y de seguridad están más o menos satisfechas, procedemos a suplir las necesidades sociales de amor y pertenencia, lo cual explicaría por qué se forman familias, por qué tanta gente busca ser miembro de una iglesia, afiliarse a un partido político, un club o un equipo deportivo. Maslow no presentó evidencia empírica de su teoría y en psicología se considera su modelo a veces muy lineal. Sin embargo, muchos estudios realizados con mamíferos, desde pequeñas ratas hasta los humanos, sugieren que nuestro bienestar depende significativamente de nuestro entorno y que sufrimos cuando nuestros vínculos son amenazados o truncados. Ahora tenemos abundante evidencia de que estamos condicionados para conectar con otros. Cuando somos rechazados por parte de un grupo social, somos víctimas del bullying o perdemos a un ser querido, sufrimos lo que se conoce como dolor social lo que nos demuestra que las conexiones entre humanos no son opcionales o fortuitas, sino que existe una necesidad esencial dictada por razones adaptativas, de crear vínculos. Los psicólogos Roy Baumeister and Mark Leary analizan las razones que prueban que tenemos una necesidad psicológica de pertenencia. Sentirnos conectados y formar vínculos afectivos es una demanda adaptativa, dicen los autores. Esta necesidad se pone de manifiesto desde la infancia cuando los bebés desarrollan espontáneamente apegos. Una vez que una relación se establece, las personas son reacias a romperlas incluso cuando existe tensión, conflicto o incluso abuso. O sea, la gente prefiere evitar la separación, aunque haya que pagar un alto costo emocional. Cuando nos sentimos cercanos a otros, nuestros pensamientos se adaptan y empezamos a incluir aspectos del otro en nuestro concepto de nosotros mismos hasta llegar a sentir que nuestros destinos están entrelazados. Las relaciones cargan un peso emocional significativo: estamos felices cuando las cosas van bien; tendemos a sentirnos miserables, ansiosos, celosos, cuando hay conflicto. Cuando no estamos en una relación cercana con otros, sufrimos. Las estadísticas nos muestran que quienes sostienen una relación de pareja se mantienen más saludables, menos estresados y tienen una expectativa de vida más larga. Las separaciones, incluso si son breves, producen malestar y tristeza. La gente prefiere tener pocas, pero muy cercanas amistades y un número mayor de conocidos, siendo la calidad más importante que la cantidad. Esto es porque establecer un vínculo toma tiempo y requiere esfuerzo e inversión de energía. Cuando una relación se rompe, la gente tiende a buscar una nueva. Baumeister y Leary concluyen en su estudio que los seres humanos estamos motivados por una necesidad de pertenencia, esto es, por un fuerte deseo de formar y mantener duraderos vínculos interpersonales. Esta necesidad fue por primera vez estudiada y descrita por el psiquiatra John Bowlby quien formuló la teoría del apego (attachment theory) abriendo la puerta a una comprensión más profunda sobre el hecho de que somos animales sociales, pero también a entender que los primeros años de la vida de un niño son determinantes. Estudiando niños que habían sido separados de sus padres durante la Segunda Guerra Mundial encontró que aquellos que fueron criados en orfanatos presentaban retrasos cognitivos, problemas para regular emociones y para relacionarse con otras personas. Los autores e investigadores contemporáneos Daniel Siegel y Helen Fisher están hoy a la vanguardia del estudio sobre el apego. En un bien divulgado estudio, Harry Harlow en los años 1950s diseñó “mamás” de alambre, fieltro y madera a través de las cuales se alimentaba a monos Rhesus recién nacidos. Después mantuvo a los animales en total aislamiento. El investigador concluyó que el contacto físico del crío con su madre, incluso con esa madre de alambre, era tan o más importante para su bienestar y desarrollo que la nutrición que recibía. En su laboratorio de Wisconsin, Harlow exploró la naturaleza del amor, tratando de entender cómo se formaban las relaciones entre infantes y sus madres. Probó que el amor a la madre era más de tipo emocional que fisiológico, relacionado con el cuidado que el crío recibe y que la capacidad para formar un vínculo estaba asociada con momentos críticos de la vida temprana, después de los cuales era difícil compensar la pérdida inicial de seguridad emocional. Daniel Siegel también ha hecho énfasis en el hecho de que los niños que desarrollan un vínculo seguro con sus padres saben que pueden acudir a ellos cuando necesitan apoyo. Esto los capacita para empatizar con otros más tarde. Por lo que sabemos, en sus inicios, el bien colectivo, entendido como aquello de lo que se benefician todos los vecinos, era prioridad para los seres humanos y esto se ve aún en las comunidades indígenas en gran parte del mundo. Como tenemos una necesidad innata de conectarnos con otros, de sentirnos parte del grupo, la vergüenza que se deriva de cometer una acción que perjudica a la comunidad se vuelve un obstáculo para nuestra integración al grupo. Cuando se rompen las reglas y se cometen actos que atentan contra la comunidad, el miedo de convertirse en un paria y la consecuente vergüenza de saberse expuesto contribuye a corregir (a veces a ocultar) el comportamiento. El que las tribus acostumbraran aventilar en público los actos que afectaran a sus miembros, tendía a corregir conductas que no eran beneficiosas para la comunidad. El Dr. Ed Diener es conocido como el Dr. Felicidad por más de 25 años de investigaciones en el tema del bienestar. Intrigado por el hecho de que en los Estados Unidos el incremento significativo en el ingreso no ha tenido un impacto positivo sobre el bienestar de la gente, se dedicó a estudiar qué otros factores contribuyen a una vida más satisfactoria. Diseñó un cuestionario que es utilizado por muchos terapistas. En uno de sus estudios con Martin Seligman, otro investigador de la Universidad de Illinois, encontró que los más contentos entre 222 estudiantes universitarios encuestados eran aquellos que mantenían vínculos estrechos con sus familias y amigos. Eran más extrovertidos y menos neuróticos. Otros estudios corroboran que la satisfacción que experimentamos está relacionada con el grado de nuestra conexión con las demás personas. Somos seres sociales y seguramente el psicoanalista Erich Fromm tenía razón cuando afirmó que buscamos toda la vida vencer un sentimiento de separación y que nos enloqueceríamos si no lográramos de alguna manera unirnos con otros. Este sentimiento de separación, adquirido al nacer tanto como seres humanos y como individuos, nos lanza hacia un estado permanente de incertidumbre. Aunque tengamos ese anhelo de conectar con otros, progresivamente nos sentimos más y más separados como individuos coexistiendo en un planeta y un universo del que también nos percibimos separados. Parafraseando al autor Charles Eisenstein, vivimos en un mundo en que la psicología nos considera una mente que habita en un cuerpo, las religiones predican que somos almas encarnadas, la física, que somos materia y estamos determinados por fuerzas impersonales, la biología, también determinista, que somos como un robot de carne y hueso programado por genes en beneficio de un interés reproductivo y, la economía, que somos actores racionales que buscan maximizar su propio interés financiero. Pero la nueva ciencia empieza a desmentir tan tremendo disparate. Podemos superar la consciencia de separación, la cual contribuye grandemente a crear los síntomas que afectan a la humanidad en el presente. Esa percepción de segmentación nos lastima: nos vemos separados por género, fronteras nacionales, procedencia, creencias, color de la piel, estrato social. Y los mecanismos modernos que estamos encontrando para intentar vencer nuestras distancias (Facebook, Instagram, Twitter, por ejemplo) son desde luego insuficientes si no contraproducentes. En la conferencia The Future of Modern Love (El futuro del amor moderno) dictada en un simposio de psicoterapia (The Psychotherapy Networker, 2018), ante una audiencia de 4.000 personas, la psicoterapeuta belga Esther Perel mencionaba que la vida urbana, a la vez que ha significado una libertad individual sin precedentes, es responsable por nuestro aislamiento, nuestra desconfianza de los otros y nuestra segregación como seres humanos. La pérdida de nuestro sentido de pertenencia a una comunidad explicaría en gran parte la calidad de las relaciones de pareja modernas. Ya las relaciones no están dictadas por la tradición y las convenciones sociales, sino que sus términos son negociables. Los matrimonios han dejado de ser para la mayoría una empresa económica para convertirse en una iniciativa romántica en la que se ponen enormes expectativas. Como en la vida urbana se pierde gran parte del capital social (se disuelve la tribu), la pareja se convierte en el TODO para el otro. Debe proveer los recursos emocionales y físicos que antes la aldea por lo regular proveía. Si la intimidad acostumbraba a ser el resultado de la convivencia, ahora el otro debe convertirse en el recurso que suple todas mis necesidades de conexión. Debe hacerme sentir que valgo y cuento y ser el remedio para mi soledad existencial, concluye Perel. Este nuevo y absorbente amor romántico es una receta para el desastre, predice la autora. Las expectativas son imposibles. Los rechazos y las rupturas son mucho más dolorosas. Maslow, A. (1954).Motivation and Personality (Motivación y Personalidad). Harper and Broth. Baumeister, R. F., & Leary, M. R. (1995).The need to belong: Desire for interpersonal attachments as a fundamental human motivation (La necesidad de pertenecer: Deseo de crear vínculos personas como una motivación humana fundamental). Psychological Bulletin, 117(3), 497-529. En 1951, Sir John Bowlby escribió una monografía para la Organización Mundial de la salud titulada Maternal Care and Mental Health (Cuidados maternos y salud mental) donde propuso que los niños pequeños necesitaban la presencia cercana y constante de su madre (o sustituto) en la cual ambos encontraran satisfacción y gozo. Los términos vínculo y apego como traducción de attachmenta veces se usan como intercambiables en español, pero el término apego es tal vez una mejor traducción en el sentido de inclinación hacia alguien o algo, mientras que el término vínculo se usa en el sentido de atadura. No uso aquí el término antisocial como patología sino como opuesto al comportamiento prosocial. Fromm publicó The Art of Loving (El arte de amar)en 1956. 2,800 million people living with less than US$2 a day – Could you call it progress? Progress is defined as a concept including the improvement of human condition, “the development of an individual or society in a direct ion considered more beneficial than and superior to the previous level” (Thedictionary.com). However, many people equates progress with modernization. That is why construction, road projects and in general, technological advances plus a wider access to such advances are used to measure the “progress” of a group, region or nation. But I consider this is a limited view of what true progress is. A holistic concept of progress should include not just the material but the immaterial aspects of life. I would see it as progress if I saw more joyful people on the streets, fewer anxious people, less rush. I would believe it is progress when more people had access to preventative physical and mental health. When fewer people had the need for consuming alcohol and other substances as prescription for fun… or to relax. When there was more compassion and real team work and cooperation; more of a sense of collectivism and less individualism; less greed and more detachment. But when we look around we find that in the midst of astounding advances there are still homeless people in the streets (only 18 states reported decreases in the number of people living in unsheltered locations): on one end of the spectrum we find a little more than a handful of billionaires, while on the other end about 1,200 million people live in extreme poverty, trying to survive with a fixed income of a dollar a day (according to the WB) and lacking shelter, food, access to health or education. The World Bank calculates close to 2,800 million people living with less than US$2 a day. And when we look at this reality, could we really talk about progress? To calculate progress, statisticians use comparatives, like, “How did people live two centuries ago?” “How does the quality of live in different countries or regions compare?” The first thing we find is that social inequality has grown exponentially. The gap is enormous. By the beginning of the 20th century, the statistics show, the difference in the per capita rent between rich and poor countries was 10 to 1. Today it is 60 to 1. The concentration of wealth shows us there is a large section of the world population left behind when a few others are becoming extremely rich. And the above numbers refer only to income. Add to that picture a lack of access to clean sources of water, education or health services. And, could we truly talk about progress when depression and anxiety multiply as mental health symptoms of unhappiness? 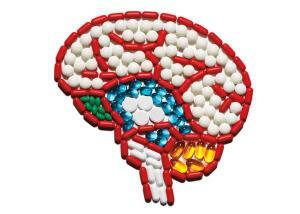 About 75 per cent of Americans have taken antidepressants and/or meds for anxiety sometime in their lifetime. Some of them unnecessarily, just because they were feeling sad or anxious, not necessarily depressed. How could we talk about progress when the number of suicides in a country considered the kingdom of opportunity, one of the most industrialized countries, with a commitment to the “pursuit of happiness)” with no wars in its territory, increased a 25 percent in the past 15 years (according to CDC)? When preventable conditions have skyrocketed, such as cardiovascular disease, cancer, obesity and diabetes, could we claim we’re progressing? I don’t think so; these conditions clearly point to a deterioration of our lifestyle… as we move away from nature, our diets are less organic, more artificial; our air and water are contaminated; our exposure to electromagnetic fields and x-rays increases with the risk of illnesses. It cannot be progress when the percentage of deaths due to opioids and codeine have tripled in the past 15 years. But the most telling symptom against the idea that we are progressing is that we live in an era where terrorism is rampant and racism and discrimination are starting to bloom again. Maybe we should include among our New Year resolutions to adopt healthier lifestyles, waste less and be more compassionate, empathetic and friendly. These are of course, days to reflect on the recent tragic events. News have identified Tunician Mohamed Lahouaiej-Bouhlel as the driver who drove a truck into people celebrating Bastille Day July 15, in Nice, killing at least 84 people. After Nice, as it was after last June’s Orlando killings, or after any massacre perpetrated anywhere in the world, I feel confused, terrified, pondering how can a human being become so insensitive to human life. I strive to understand what intense pain, fear, anger or desperation existed in the heart of the assassins that led to planning and executing these barbaric killings. Terrorists only purpose is to dominate by planting fear, that’s their real weapon. Terror expands compromising everybody’s health, safety, trust and lives in general. We’re collectively traumatized, we don’t feel safe any longer. Even silence and apparent indifference could be the result of terror… It’s more comfortable to hide, ignore, distract the pain with trivial endeavors, or adopting new addictions to stop mulling about what happened. However, I feel, something breaks inside… we’re left broken and incomplete. Our faith in humanity is shaken. What’d be the future of this planet? While people who blindly support bigots and tyrants, might feel these tragedies are one more reason to hate, repress, build walls, divide, I feel, and wish that those who are not so blind will also see, tragedy is only one more reason to love. Love is the only thing that can heal and save the world. Let’s become better friends, but not only Facebook-kind of friends. Let’s truly care, connect and express concern for each other. Let loved ones know that we stand there for them. Let’s learn better ways to supporting each other, to come closer together, to understand each other, to forgive each other. Let’s remember that we’re all made of the same (stardust) stuff, we share the same essence; that when we are saying “we’re one” it is not just a snobbish slogan. Let’s make room again for poetry and laughter and joy. But more than anything, let’s take responsibility for what’s going on in the world, by leading meaningful lives and not just this silliness infused by consumerism. Let’s appreciate life above stuff; let’s honor the planet and respect our bodies; let’s stop bigotry and hatemongering, which on the long run lead to these tragedies. Let’s unite to stop terror. I was not surprised when three recent studies published in the Annals of Internal Medicine suggested people are wasting their money on multivitamins and minerals to no avail. Pharmaceutical companies such as Baxter (Oneaday multivitamins) or Pfizer (Centrum) haven’t precisely proven impeccable ethics or that they truly work for the benefit of their clients. Living healthy can prevent almost any illness. Healthy environment, diet and stress reduction strategies are key to health. Fifty years ago, we knew little about the immune system. Back then, only a handful of illnesses were classified as autoimmune conditions where the immune system doesn’t recognize proteins normally present in the body and attacks its own cells. Today, researchers have found that autoimmune responses explain about at least 10 percent of the diseases that affect the planet’s population; among them, diabetes (type I), lupus, multiple sclerosis and rheumatoid arthritis, to name only the most common ones. But other conditions such as ulcerative colitis and even schizophrenia are possibly linked to autoimmune responses. Furthermore, coronary disease has been related to the efficiency of the immune system in clearing up plaque deposits in the arteries of the heart. By the end of the 19th century, when vaccines were invented, Louis Pasteur discovered germs as the cause of many illnesses and later bodily reactions to specific microorganisms, like the tuberculosis Koch’s bacillus, were identified, confirming the existence within the body of the immune system. Initially, immunity was conceptualized as a defense army in charge of destroying an enemy, concept that reflects a predominantly martial mentality in society. Mainstream western medicine still holds this concept. However, a holistic approach will more accurately reflect the amazing immune system. Researchers Koch and Pasteur inaugurated a craze where most illnesses started to be explained as caused by germs. In the early 1940s, viruses were found capable of generating illness, and the sixties and seventies saw a great boom in virology, when researchers tried to establish a causal relationship between viral infections and cancer. This causal relationship has however not been confirmed. In some cases, like the infection by papilloma virus (HPV) there seems to exist a strong correlation to cervical cancer in women. However, scientific evidence points to chronic inflammation (not the viral infection) as the precursor of cancer. Take into account that inflammation is modulated by the immune system and that our inflammatory response depends on our lifestyle. Science has advanced a great deal. Studies have established that human bodies continuously produce cancer cells but thanks to an immune system capable of recognizing misbehaving cells, cancer can be prevented. By isolating, reeducating and/or destroying those crazy cells, the immune system can keep us cancer free. A clear relationship between cancer and the immune system has thus been established. When the immune system is not working optimally, cancerous cell growth might go out of control. Since the beginning of the AIDS epidemic, investigators have plunged into studying what exhausts the immune system, contributing very interesting insights into its multiple functions. Beyond this concept of the immune system as an army that chases, confronts and destroys invaders, the immune system is a self-governing network that participates in the body’s learning process, and is responsible for both its molecular identity and the biochemical communication between organs. That’s why author Fritjov Capra deems it our second brain. Different from other bodily systems, which are confined to a precise anatomic location, the immune network penetrates each tissue of the body. It is made of a number of tissues and organs (lymphatic organs) and specialized cells (lymphocytes and macrophages or white blood cells) that swim back and forth along the circulatory system during surveillance missions, gathering data to ensure the organism’s accurate functioning. This extraordinary system learns and evolves with experience! From the moment we are born, the immune system learns how to react to unfamiliar agents. It learns to discriminate which molecular features typify bacteria that are usually not present in mammals. It also recognizes the body’s idiosyncratic proteins. Vaccines are developed based on the immune system’s capacity to memorize how to react to alien proteins. There is also a kind of natural selection taking place in the thymus, where only T-cells (a specific kind of immune cells) that have learned to unite harmoniously with other cells in the organism can survive. The thymus is one of the most important organs of the immune system. It is a small gland situated behind the breastbone (sternum) and is fundamental in shaping the way in which the body responds to infections. Half of the white blood cells, which originate in the bone marrow, go directly to the blood stream and interstitial fluids. But the rest of them have to go through the thymus where they become T-cells. These have three main roles: to stimulate the production of antibodies and other lymphocytes, to stimulate the growth and function of phagocytes that ingest and digest viruses and bacteria, and to identify foreign or abnormal proteins. Many immune system organs function as gatekeepers. This is the case of the lymph nodes (in the neck, armpit and groin), the tonsils and the Peyer’s patches in the intestine. The lymphatic fluid, or lymph, goes through these customs checkpoints where lymphocytes capture particulate matter and microorganisms and decide if they should be granted admission to the system or not. Another lymphatic organ, the spleen, is in charge of recycling old and dysfunctional cells. This amazing system only uses its defensive resources when facing a massive invasion of foreign agents. Recent research shows that the brain, the endocrine glands and the immune system cooperate and share functions. Moreover, the borders that science had delineated between these systems start to blur, bringing opportunities for new understandings of the body’s functioning. Candace Pert used the term net to describe these systems, because their function encompasses a constant exchange, processing and storage of information. Most substances in charge of transmitting information in the body are peptides, and recent research has shown they are multifunctional; they accomplish different functions for different systems. For example, the brain produces neuropeptides that are antibacterial precursors; the immune system has perceptual functions, and the endocrine system produces substances that work as neurotransmitters. Initially deemed exclusive to the nervous system, the neurotransmitters have also been found in the bone marrow, where the immune system cells are produced. The three systems are thus, multifunctional. They form a network that exchanges, stores and passes on information, using peptide molecules as messengers. But, also, our physiology is modulated by emotions. Popular wisdom, which results from observations transmitted from generation to generation, has always correlated emotional stress with vulnerability to illness, and science has proven that our thoughts, mood and emotions influence the functioning of the nervous, endocrine and immune systems. In a nutshell, science is telling us that we can regulate the production and efficiency of our inner messengers (peptides) by adopting healthy lifestyles. It’s telling us to eat healthy, have fun (to reduce stress) and exercise.